Here you can find support with various issues regarding PayPal. This section is under constant expansion. You only see part of the saved account number, the last 4 digits. You can add as many accounts as you like. You can save several e-mail addresses, one of these will be set as your ‘standard’. Under “Customer Service Email” you can set your standard e-mail address to be shown to the donor. If you don’t specify one, your primary Email address will be used. You can configure an automatic transfer on a daily basis. 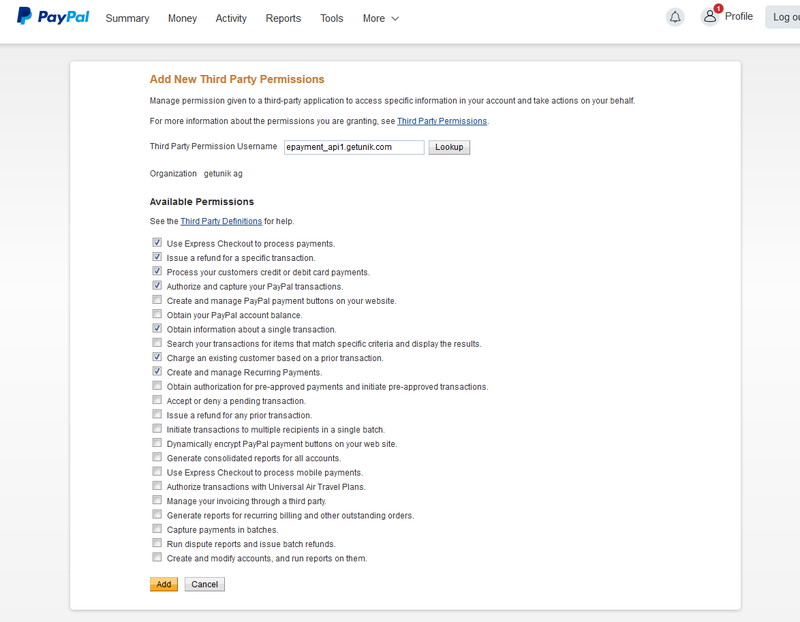 As per most recent status, we use the ‘Third-Party Authentication’ in the PayPal API area. If your shopping cart is a hosted solution and your customers interact with your cart installed on your servers or another service provider’s service, then use third-party API authentication. Submit API calls to PayPal on your merchant’s behalf. 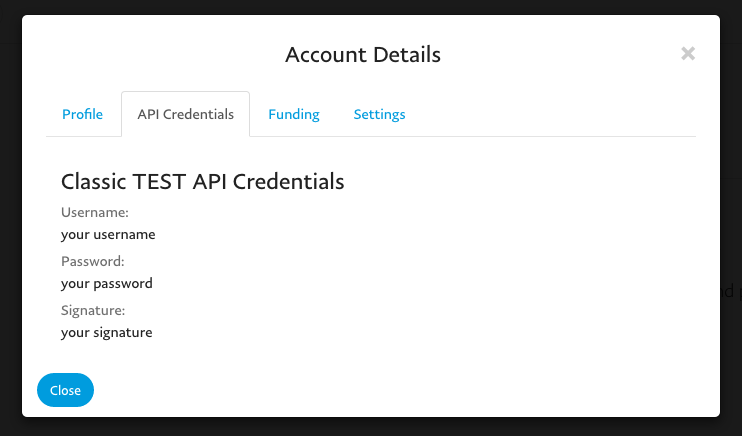 Set up API credentials for your business account, and use your API username and password for every call. 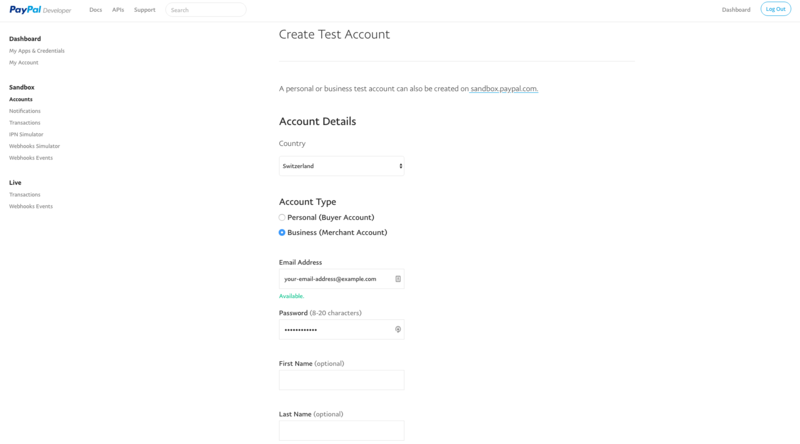 Specify the merchant by populating the Subject field of the API request with the email address of your merchant’s Verified PayPal Business account. RaiseNow currently offers only the PayPal Express Checkout option. Express Checkout makes it possible to pay with a PayPal account. Credit card payments are not possible. Go to “Tools” -> “Manage your business” -> “API Access”, a pop-up window titled “Set up API access” will appear. Click on the button “Go to API Access”. You can choose from two different options. In order to receive PayPal payments, you need a PayPal business account. Opening a PayPal business account is free of charge. If you already have a business account, skip to the next step. 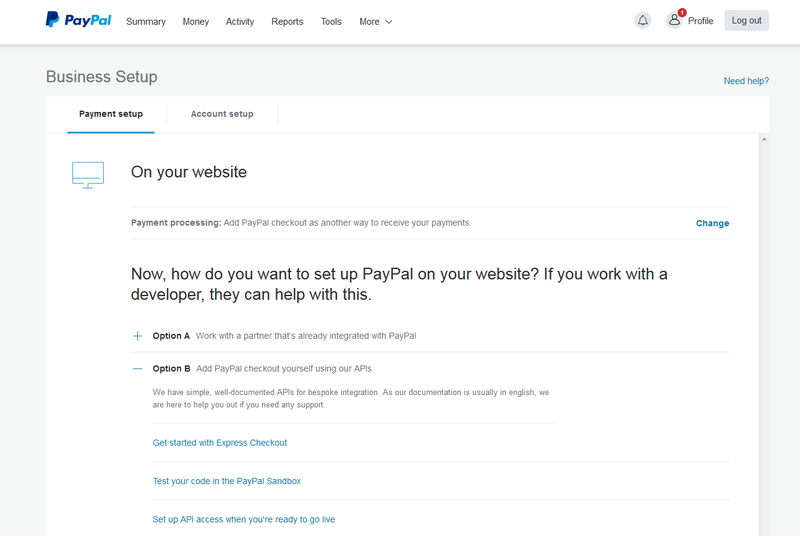 Click Profile and My Business Setup, choose Option B (add PayPal checkout yourself using our APIs) and then click on the option Set up API access when you’re ready to go live. 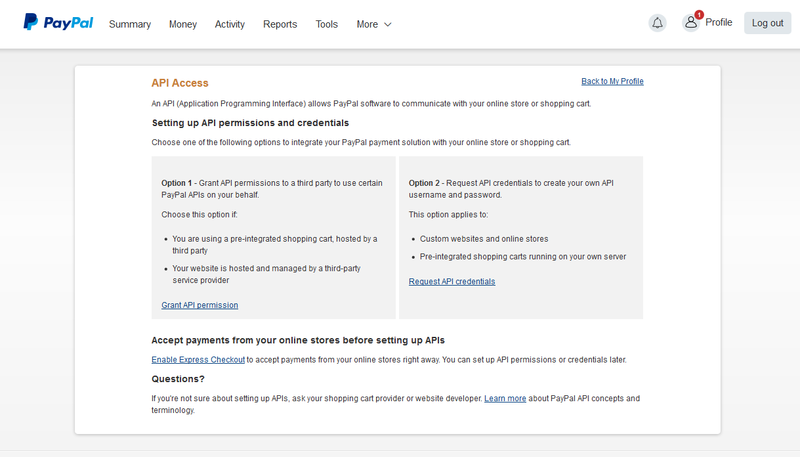 Then choose Option 1 (on the left hand side of the screen) Grant API permission. Register the following entry as user name for Third-Party Authorizations: epayment_api1.getunik.com and click Lookup. Inform RaiseNow, that you have registered at PayPal (support@raisenow.com) and send us the e-mail address (user name) of your PayPal business account. In order to finish the activation of your PayPal account, you will receive a verification code which you have to input on your PayPal account to be able to receive payments. For details on this, please address your PayPal support. 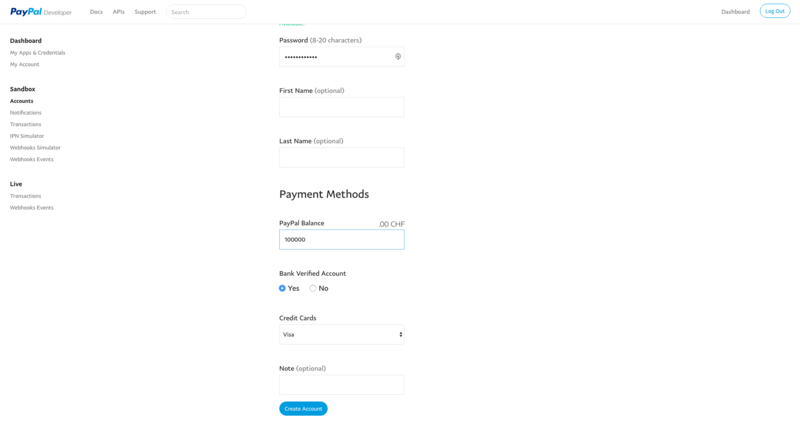 In Section ‘Payment Methods’ type in the amount of money your Sandbox Account will have access to (Choose a high enough amount to process multiple transactions. Once the amount is reached you will not be able to make any payments with that account anymore). Furthermore, choose ‘Yes’ for ‘Bank Verified Account’ and select ‘Visa’ as ‘Credit Card’. Finally, hit ‘Create Account’. In the PopUp window, choose tab ‘API Credentials’ and send us the ‘Username’, ‘Password’ and the ‘Signature’. 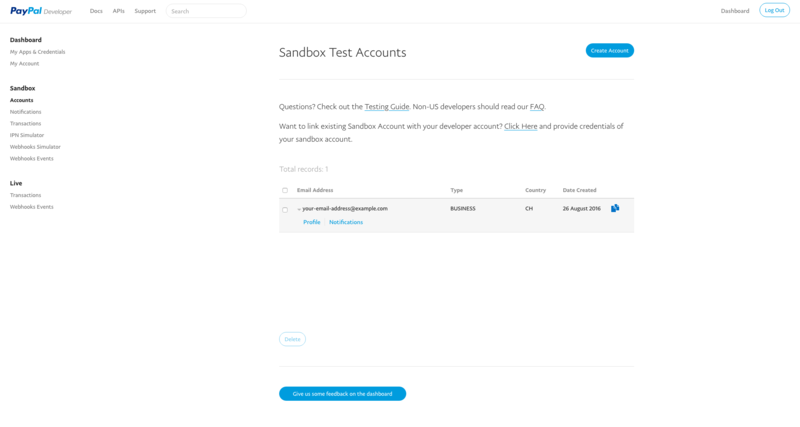 Please note that if you followed the previous steps, these are credentials for a Sandbox Account which will not be able to process actual (i.e. live) payments.